Apex is a name that has become synonymous with dark, heavy, energetic music in the aukland dance scene. Whether he’s playing breaks, d’n'b or dubstep the one thing you can expect is bass. lots and lots of BASS!Djing from the age of 16 at the local soccer club on an old pc and Tractor, Apex has done his time in the scene. First stepping into the clubs in 2002 with the conception of his first club night 'REvolt' playing progressive house then moving to techno then eventually finding a home in tearout breakbeat for a number of years. the only thing that hasn't changed is a love for electronic music....and his haircut.Supporting a plethora of internationals over the years including Freestylers(UK), Scratch Perverts(UK), Rennie Pilgrim(UK), Next Men (UK), Baobinga & I.D(UK), NAPT (UK), Vent(UK) and Nick Thayer (AUS) among others. Also organising one of NZ’s longest running breaks nights ‘INFECTIOUS’ in clubs all over Auckland city to capacity crowds with co-promoters and dj’s $ure$hot and Joe revell. A trip to the U.K also saw Apex play the warm up set for NZ icons MINUIT at Clockwork night club in London and some sneaky studio time with longtime hero Specimen A. 09 began fresh with a new outlook on music, breaks hit a creative wall so apex made the shift to Dubstep after playing possibly his best gig to date (IN CAHOOTS 08/09) on new years eve on great barrier island. The genre swap also saw the start of Apex’s new regular club night ‘REwind’ @ Coherent nightclub on Auckland's infamous k’rd. Turns out the swap was a good idea landing apex voted Runner-up best dubstep dj in the NITE:LIFE 09 music awards. 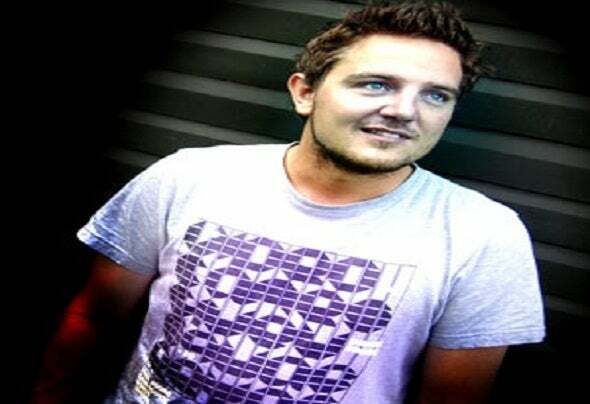 With production the focus for 2010 a slight name change was in order after Rob Dickeson of 'unkown error' emerged as a solo artist of the same name (apex) and started releasing some of the biggest DnB tunes around. The easiest option was to turn the "E" around... AP3X was born. Now with a number of releases for local and international labels in the pipeline, collabs and remixes, 2010 is about making solid, dark, driving, dubstep tunes. The Depths Ap3x Remix Ap3x, Neurodriver Straight Up!